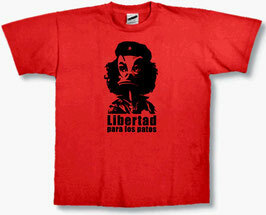 Revolutionary red T-shirt featuring Che Duckevara's battle cry of "Libertad para los patos"
100% cotton, manufactured by Fruit of the Loom. 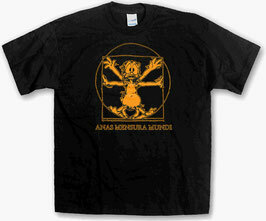 Also available in children's sizes! 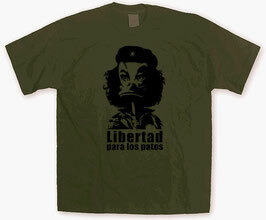 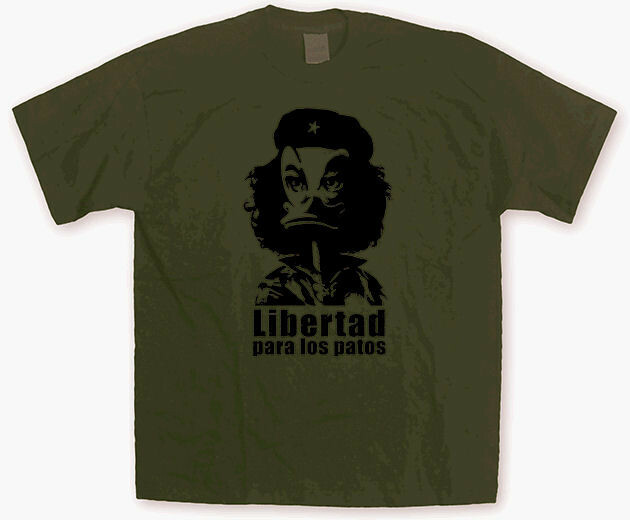 A combat-coloured olive green T-shirt featuring Che Duckevara's battle cry of "Libertad para los patos"
100% cotton, manufactured by Sol's Imperial..
Anas Mensura Mundi - Leonardo da Vinci saw the duck as the measure of all things imaginable.